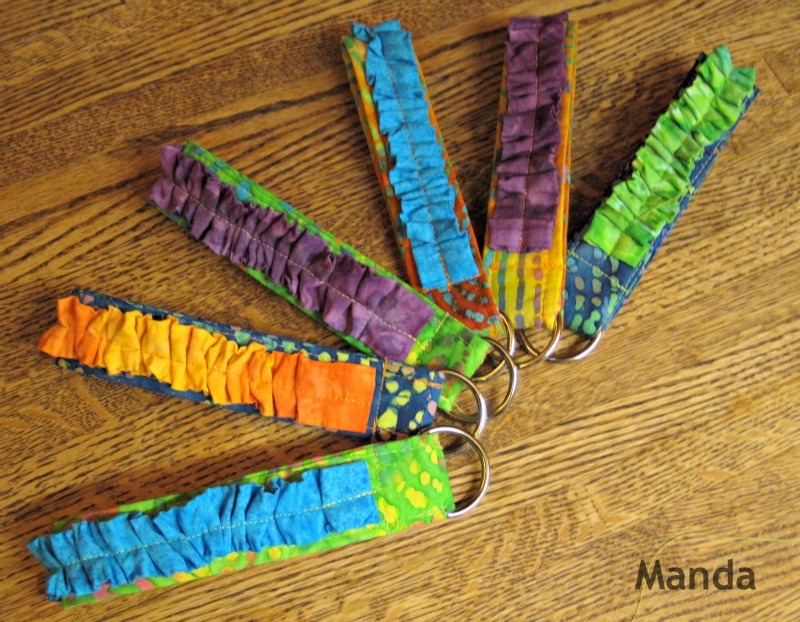 My daughter and I made these awesome ruffled wristlets as end of year gifts. “A” gave one to each of her teachers and I gave one to each member of my MOPS Leadership Team. They are super easy to whip up too. Another Pinterest win! You can find the tutorial over at Teaginny Designs. Alex’s instructions are easy to follow too. For “A”‘s teachers, we purchased a fat quarter pack that had 6 different fabrics. 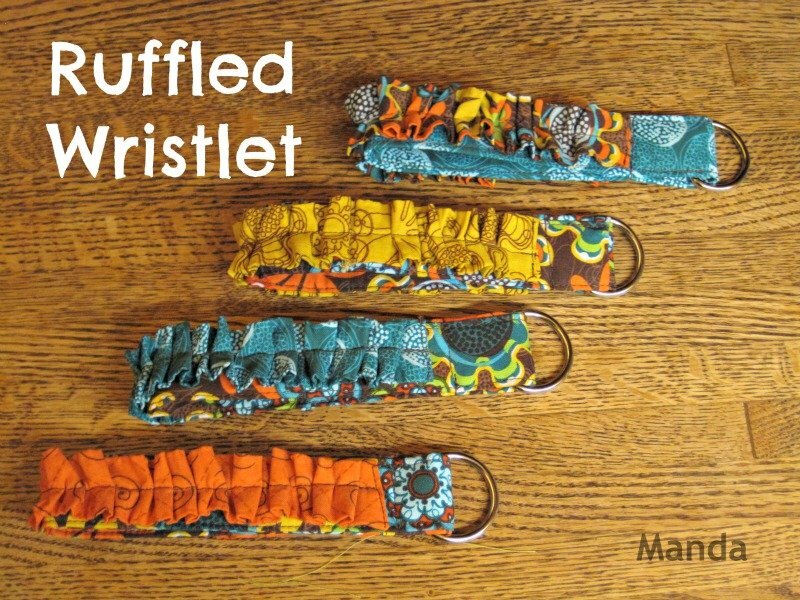 We made 6 ruffled wristlets and still have lots of fabric left over to make more.